disclosure: this is a sponsored post as a brand ambassador for Strawberry Shortcake. The kids no longer naps. I can force them but it totally backfires come night time so I’d rather keep them up in the afternoon so they can sleep early instead. With that said, I do need a ton of activities to keep them busy when we want to stay in, especially on weekends. Between biking, homework, playing with their toys, doing crafts, cooking, and lately – even helping with house chores, there’s still a lot of time left before sleep time for them to say – I’m bored! So we either watch a new movie just released on DVD or let them play with their tablet. We cleaned out a ton of apps on their tablet to get rid of games they no longer like or is no longer age appropirate and downloaded Budge World™. 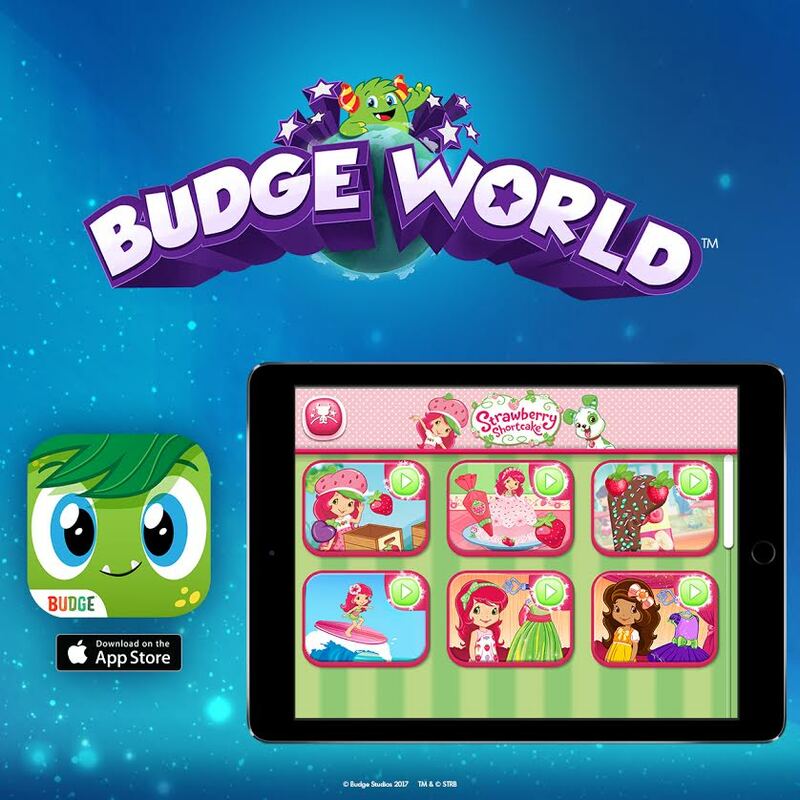 Budge World™ brings access to Strawberry Shortcake that kids and parents everywhere will enjoy! 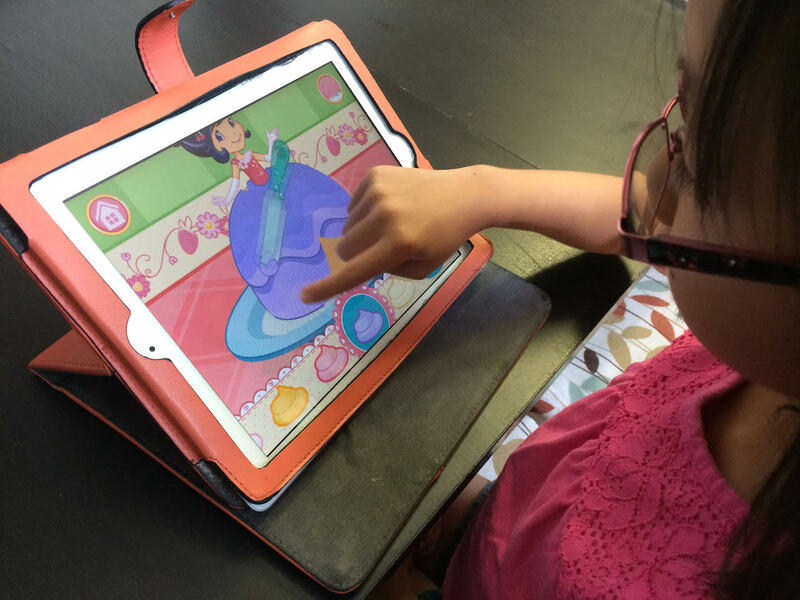 This app includes tons of activities that emphasize creativity, learning and fun. The girls loved it and didn’t mind playing together. I got to play with it too, talk about having a second childhood! 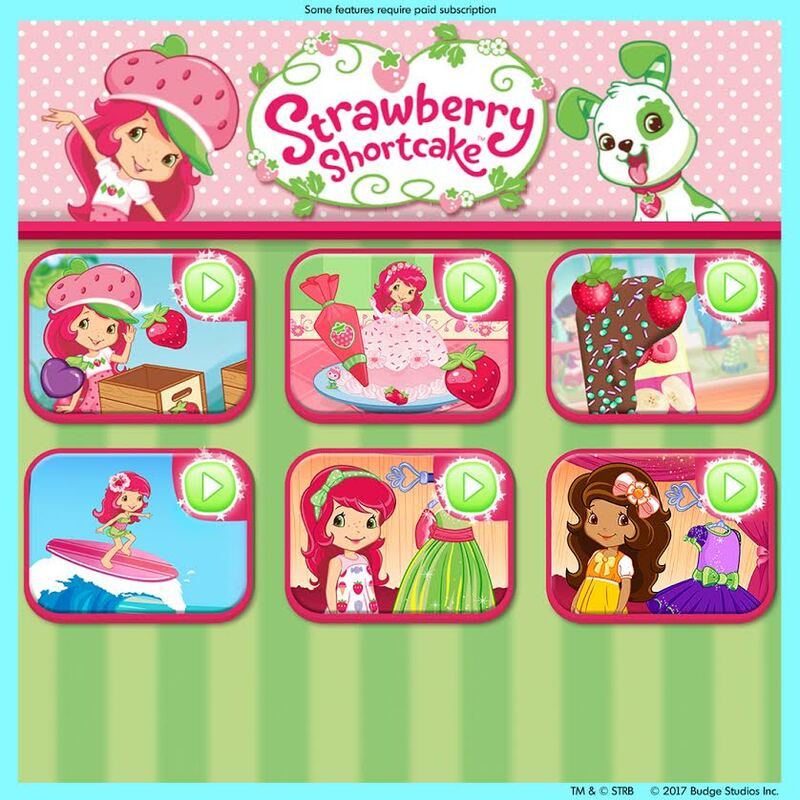 With the Strawberry Shortcake games, you can decorate a cake, make popsicles, sort fruits, play dress up and more. My fave though (yes, I have a fave) is the surfing game where Strawberry Shortcake gets to jump to get flowers. My daughter did say, “Thanks mom, you always know what to get for me. You always get everything I liked.. when I’m being good.” And she said it twice. You can get the app for free and play some of the games or subscribe for a month free of play to check everything out. I’m pretty sure your kids will love it. If you download it, you can get a month free subscription and you get to play with 11 top kid’s brands including our fave – Strawberry Shortcake! New Content Constantly – Get access to new themed lands, new characters to collect, games, learning activities, and more! Inspire Learning – Practice spelling and counting in a fun and engaging way. Earn & Collect – Collect new characters and customize your world with prizes, stickers and more! What does a subscription to Budge World get you? Subscribing to Budge World gives your family full access to all the content in the app for as long as your subscription is active. Every month, your family can enjoy brand new exclusive content! As an exciting bonus, some additional content only becomes available as kids progress in the game. Rewards and achievements unlock prizes, stickers and new Budge characters. No ads or in-app purchases for subscribers. Follow AnyTots Blog via Facebook, Twitter, Instagram, Pinterest, and Youtube for the best family travel tips, foodie adventures, party ideas, free printables, recipes, product must haves and more.